Submitted by Angarrack.info ... on Mon, 25/02/2013 - 01:00. 25 February 2013. 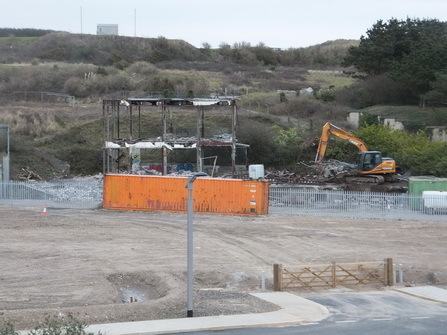 The power station canteen, for decades an eyesore on the North Quay, has finally been demolished. The North Quay is looking much improved.